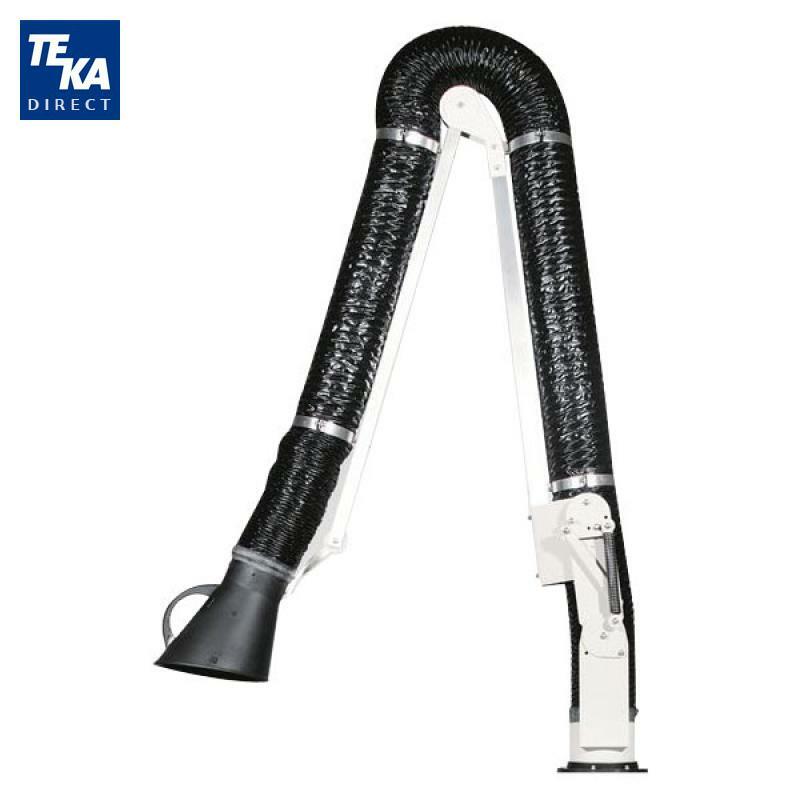 Our suction arms are suitable in capturing welding fumes. The arms can either be connected to individual fans or to central suction and filter systems. The arms are easy to position due to the spring-support. The volumetric flow can be individually regulated via a damper that is integrated in the suction hood. 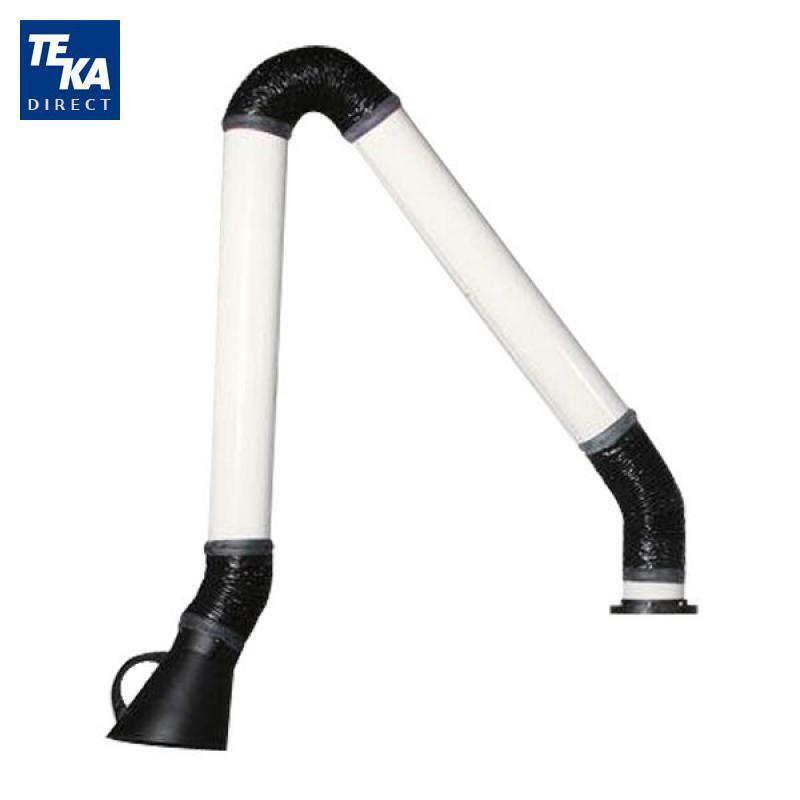 For longer amrs, please check refer to our suction cranes. 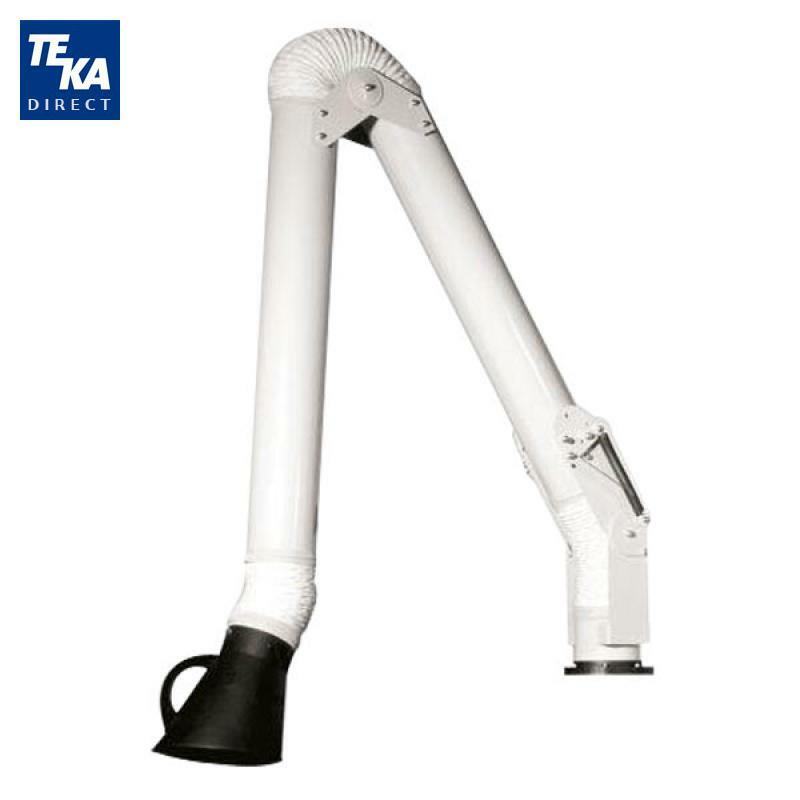 The selection of the type of suction arm depends on your personal choice. Outside joints are a little bit less physically attractive to some, but have a longer life span, increased air flow, and are easier to maintain. Generally all of our arms are long lasting and require very low maintenance. The individual fan can provide an airflow of 1,200 cfm. The motor has 0.75 kW and runs on 110V/60Hz. It can be mounted directly to the arm.